In the aftermath of my Dad’s death, there were a number of books, articles, lectures, and sermons that helped me navigate the roller coaster of emotions I experienced. Some would draw me closer to God. Others would make me laugh remembering the good times I had with Dad, and others would make me cry because I missed him. Each resource, in its own way, helped me in just the right moment, and if you find yourself in a similar situation as me, or just hope to learn more, I hope they will be just as helpful to you. Max Lucado has always been one of my all-time favorite authors, but of all the books he’s written (and he’s written a lot! ), this one gave me the most perspective on life and God’s ability to redeem horrible situations and turn them into something great. In a way only Lucado can, he recounts the story of Joseph in Genesis and applies this to the struggles we all face. This book helped remind me that even in the midst of troubled times, God can take the mess and turn it into something great. Joseph’s story provided a lot of comfort for me after my Dad’s death, because if God can redeem a tragedy as severe as the one that was Joseph’s life, how much more could he do with my struggles! Also, there is a great 6-week bible study that goes along with this text if you’re interesting in hearing Max teach extensively on the subject. Matt Chandler has become one of my favorite pastors in America, and this book was where it all started for me. At the recommendation of a good friend from my gym, I listed to Matt (Pastor of The Village Church in Texas), and was immediately drawn in by his knowledge and witt. This book reminded me that no obstacle or sin is too great for God to redeem and make something good of it. And Chandler speaks from experience when it comes to struggle. He’s a brain-cancer survivor who overcame all the odds and is thriving on the other side. It’s a great reminder for anyone going through struggle that turning our problems over to God opens up the door for miracles we could’ve never imagined. There is a full sermon series that Chandler preached before writing the book, which is a great accompaniment as you read. A few months after my Dad’s death, I received this book from my grandmother, Pat. As a stepmother to my Dad, she was processing her own grief in dealing with his death, but she knew the book would be tremendously helpful for me as I grieved–and boy, did she (and God) know just how much I needed that book. In the book, Albert Hsu addresses the lingering questions around suicide head-on, from trying to understand why something like this would ever happen, to exploring the language we use to talk about our loved ones after they pass on. It was especially helpful that Hsu writes from experience in this text. Hsu lost his own father, a victim of suicide, and helps readers walk through the different emotions and seasons that inevitably follow. This book, truly, is a must read for anyone impacted or left behind after a suicide. It’s a text I draw on quite often, and although it’s one that I wish I never had to read, I’m glad that I’ll always have it on my shelf to turn to when times get tough. After my Dad’s death, I wanted to try my best to try and comprehend the struggles and mindset of someone who is having suicidal thoughts. Kevin Hines offers just the insight I needed. 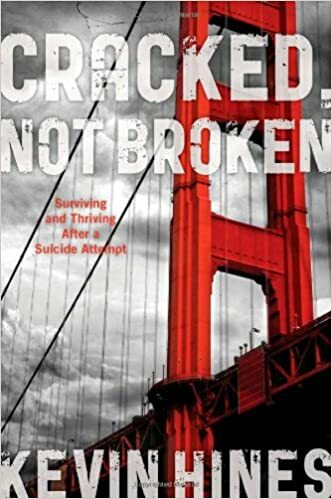 Kevin is one of only a handful of survivors who attempted suicide by jumping from the Golden Gate Bridge. Kevin’s story, and God’s work in him, are truly miraculous. Kevin gives readers vivid detail on what led to his suicide attempt, the immediate clarity that ensued after his feet left the bridge, his recovery, and his relapses. 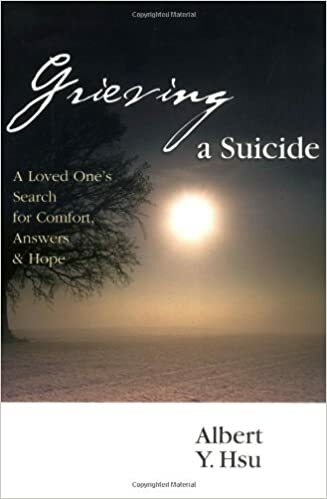 For the individual who has never had suicidal thoughts, this book will help to understand the true severity and overwhelming nature of depression. It’s been years since I read this book, but Kevin’s story is one I will never forget. Frank Page is a former president of the Southern Baptist Convention, and a fellow suicide survivor. He lost his daughter, Melissa, to suicide in 2009. Page does a tremendous job of sharing his personal story and how he and his family had to rebuild their lives after Melissa’s death. Frank’s story is an honest one, and he talks about the ways in which he was able to reconcile his current situation with the truths provided in the Bible. For me, it was particularly interesting to read a story that reverses the process: a Father losing a child. It has helped me empathize with my other family members who have suffered in light of my Dad’s death, and has reminded me that my experience is completely different from the struggles my family members might deal with. Bob Goff is THE MAN. That’s really all I need to say. Bob’s book, Love Does, is a book that talks about what it’s like to live and love people the way Jesus encourages us to love them. I was drawn to the book because I had heard so many good things about it, but it was a blessing to read because I saw so much of my Dad in the type of love Goff describes. Want to know what else is awesome about this book? Bob puts his cell phone in the back of the book and encourages readers to call him. When I was having some doubts about my writing and whether or not I should start a blog, I picked up the phone and called the number–and Bob answered on the 3rd ring! We talked for about 10 minutes, and he gave me so much encouragement and equipped me with the confidence I needed to know that my Dad’s story was worth telling. Love Does is one of my all-time favorite books, and it will remind you that love isn’t a noun–it’s a verb that requires action in the lives of those around us. After my Dad died, I inherited a lot of his things. From useful things like clothes and luggage, to random things that would make me remember him like half-used bottles of his cologne and scratchpads with his handwriting, I took everything that was offered to me. My Dad was a guy who liked to do things with his hands, and usually wasn’t an avid book-reader. That’s why I was so surprised one day when, in a heap of additional items my Mom had given to me, there was this book. I felt like this book was a gift from my Dad, and I instantly identified with all of the topics Eldredge talked about. Eldgredge writes on living your life as a man after God’s heart, pursuing adventure and quenching our thirst for challenge. This book is also what I call a great “breadcrumb book”. The quotes and excerpts used by Eldredge led me to many other great authors, including Frederick Buechner, a renowned Christian author whose father fell to suicide when Buechner was only a young boy. Eldredge pushes readers to consider the purpose God has called them for, and is a challenging read for anyone who is tired of sitting on the sidelines of life. Tim Russert was one of my absolute favorite journalists, and his untimely death in 2008 was a huge loss. Tim’s book Wisdom of our Fathers is an inspiration for me as I write this blog, and is a book that has taken on so much more meaning for me after my own Dad’s death. 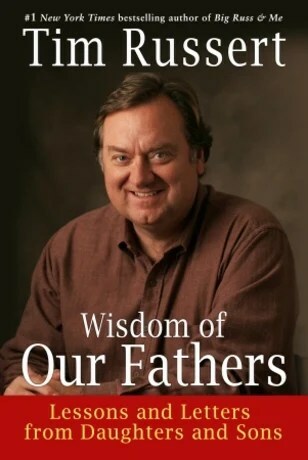 I read the book many years before Dad had died, and I really appreciated the approach Russert took. The book is simply a compilation of letters written by sons and daughters about their fathers. It is a great reminder that it’s often the little things in life that our fathers do for us that make the most significant impact. This book is a testament to the need for strong fathers who show unconditional love and compassion. For anyone struggling with the loss of a father, this book is an absolute must read. At the invitation of a friend who is a local pastor, I had the opportunity to hear Dr. Jerry Kirk speak at a breakfast in my hometown. I was riveted by the book and prayer that he wrote, and the next evening I sent him a quick thank you e-mail. I was shocked when, the following day, Jerry Kirk called me on the phone to learn more about me, my Dad, and my relationship with Jesus Christ. We spoke for close to an hour, and by the end of the conversation, Jerry Kirk was praying over me. It was one of the most beautiful prayers I’ve ever been involved in. In this book, Jerry unveils a 10-line prayer that has the capacity to change your relationship with God. 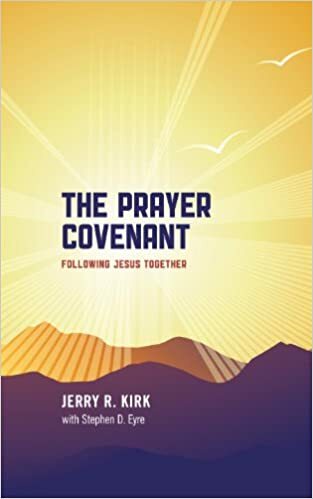 The prayer invites followers into a deeper, more meaningful spiritual relationship, and in each chapter, Jerry unveils the importance of the words he’s included. For anyone struggling to pray, or for the seasoned prayer warrior who wants to take their conversations with God to even higher ground, this is a must read. This book was given to me by my pastor shortly after my Dad’s death, and it helped me really dig deep into how God helps us manage and control our emotions. Stanley delves into the five key destructive emotions–fear, rejection, guilt, bitterness, and despair–but also talks about why our emotions can get the best of us in a world where we’ve fallen from grace. This book really spoke to me because, at the time, I was having a lot of questions about suicide, sin, and what happens to victims of suicides in light of their eternal resting place. From a place of compassion and Scriptural truth, Charles Stanley lets readers know that suicide is not the “unpardonable sin”, as some (wholly misguided) individuals might lead you to believe. 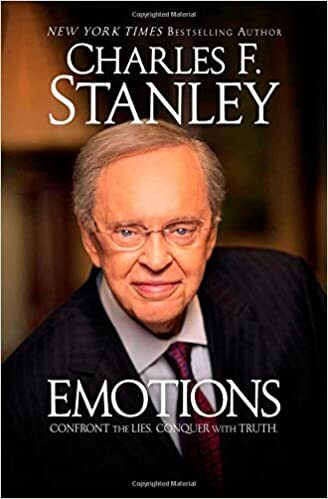 Stanley’s book was both a great perspective on the emotions my Dad must have struggled with during his time here on Earth, but also a great help to me as I was dealing with new feelings of despair and sadness. This is a great read for anyone who loses a family member, but a tremendous addition for anyone who is trying to get perspective on the ministry’s role in mental illness. I try to switch between reading fiction and non-fiction, and after this read, Fredrick Backman has became one of my favorite new authors. 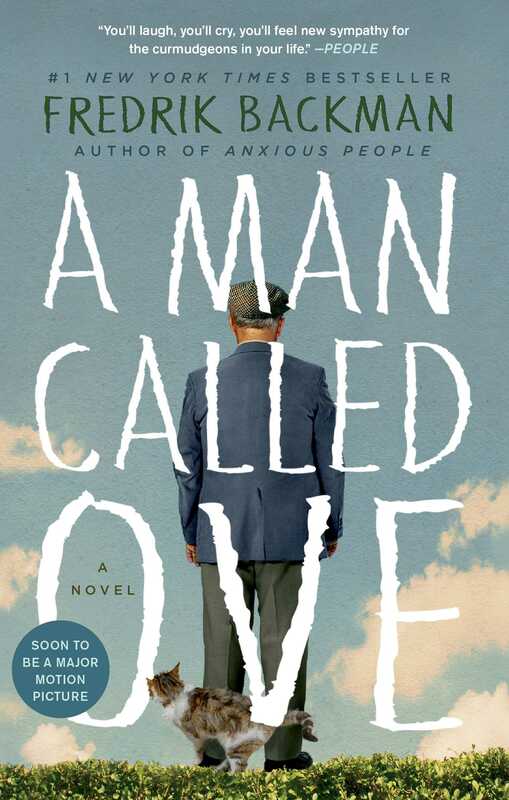 A Man Called Ove is a beautifully written tale of an elderly man who is so heartbroken over the loss of his wife that he is on the verge of suicide. On the surface, the book looks like the story of a grumpy old man dealing with a fast-pace, constantly changing world around him. When you dig below the mean exterior, you discover a man who has a story to tell. A man who has experience significant trouble and heartache, but has responded with strength and courage. During my life, I’ve tended to be impatient and inconsiderate for what other people have gone through. But since my Dad’s death, I’ve had more of an appreciation for the stories that people tell…and also the ones they don’t. We are all suffering, and Ove’s story show us that. It also shows us the need to connect with the people in our lives and help them out, even when they aren’t asking for it. I’ve got some other Backman books on the list of ones to read because I was so enthralled with this one! Perry Noble is the former pastor of NewSpring Church, but more importantly he is a Christian who has suffered from severe depression and suicidal thoughts. Perry’s book drew me in because it speaks honestly about mental illness, depression, and the need for our churches to be more open and honest when discussing these issues. He does a great job of walking through the Bible and pointing out instances where our greatest Biblical heroes could have been completely overwhelmed by their feelings, but instead they relied on God and found higher ground. Noble addresses all of the important issues that contribute to mental strife, including the pace of our lives, a desire to be more and do more, and a need for us to admit when we are weak and broken. Noble’s book is an important one to read for any believer who is struggling with mental illness, but more importantly it’s an important piece for the entire Christian church to reflect on. Our churches have to reflect on the way we minister to the mentally ill, and Noble’s book helps us understand that God’s promises can help us overcome the worry and burdens of this life. This book interested me for a number of different reasons–some completely unexpected. I’ve always had an interest in crisis management, and the Columbine tragedy has always been intriguing for me to study. I had an opportunity to visit Columbine High School a few years ago, and the memorial touched me in ways I couldn’t imagine. What I didn’t expect to discover when reading this book was a perspective on suicide. Sue Klebold is the mother of Dylan Klebold, one of the Columbine shooters. Sue Klebold is one of the most honest and vulnerable writers I’ve ever come across. She shares her perspective on her son’s demise, focusing primarily on his struggle with severe depression that warped his thought processes so severely that it caused him to take not just his own life, but the lives of innocent victims. I’ll admit that I never thought of Dylan’s death as a suicide before reading this book. It doesn’t excuse the heinous violence of his crimes, but it offers a call to focus on brain health issues. Sue’s book is a painfully honest look at grief. It’s a heartbreaking but vitally important read. Sheryl Sandberg is the Chief Operating Officer of Facebook, and her newest book is easily one of the most important books I’ve ever read about grief and navigating the storms of life. Sandberg writes with such vulnerability, and she writes from a personal tragedy that changed everything about her life. While on vacation with her husband, Dave, Sheryl worried when Dave didn’t return to their room in time for dinner. Sheryl eventually found Dave deceased in the hotel workout facility having passed from a cardiac arrhythmia. Sheryl had to process her own grief, while also informing her two young children that their Daddy wouldn’t be coming home. Sheryl says everything I’ve always felt about grief, and she delves into the many ways that people who suffer through traumatic experiences can build resilience through that adversity. 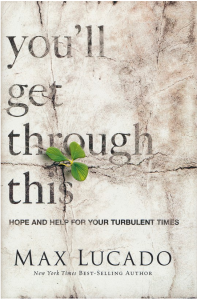 Sandberg’s book also serves as a manual for those who are helping others through their grief. Her story helps to articulate what counts as “good support” and Sheryl shares her own personal victories and defeats in her journey after losing Dave. It’s a must-read for anyone working through their grief. It’s no secret that I’m a huge Lucado fan, but this book gave me so much perspective on mental illness, anxiety, and worry–and most importantly, finding relief in the arms of our Father. In the book, Lucado says “The presence of anxiety is unavoidable, but the prison of anxiety is optional. It’s the life of perpetual anxiety that Paul wants to address. Don’t let anything in life leave you perpetually in angst.” He couldn’t be more right. Lucado (as only Lucado can do) offers an amazing acrostic to help remember what we need to do in our moments of greatest anxiety: CALM. Celebrate God’s Goodness, Ask God for Help, Leave Your Concerns with Him, and Meditate on Good Things. There is no better man to write a book on the topic of calm than Max Lucado. His perspective on Philippians 4:4-8 is refreshing, enlightening, and full of promise for those of us who are hurting. Dan Walters is one of the bravest and most faithful men I’ve ever met. He was the pastor to my Uncle and Aunt Turner’s family for many years at Tri-County Church of the Nazarene, where he served as the Senior Pastor for 33 years. I remember seeing Reverend Walters sitting in the pew at my Dad’s funeral, but I had no idea that he once suffered from depression and suicidal ideations. In this unvarnished, raw story, Pastor Walters shares his lifelong struggle with depression–and more importantly, his ultimate healing. Reverend Walters discusses the stigma that exists, particularly among pastors and members of the religious clergy, that prevents them from openly sharing their own mental illnesses, and he speaks about depression from a spiritual perspective that is difficult to find in most texts written on the subject. Reverend Walters’ book will give you a unique perspective on depression and how our earliest hurts and roots of failure can exacerbate our feelings of loneliness and desperation. 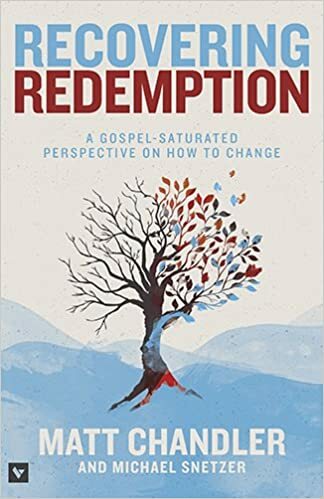 Pastor Walters’ book is a wake-up call: as a society and particularly within the Christian faith, we have to arrive at a point where we can share our struggles with depression, anxiety, mental illness, and suicide openly and honestly. We, as a Christian people, must react to this with compassion and care–just like Jesus does. I had the pleasure of listening to Dr. John Ratey speak at the Dalton Conference in Florida shortly after losing my Dad, and his book changed the way I think about mental illness and physical activity. I wrote about Dr. Ratey’s approach in a recent post at SeeyaBub.com on the importance of staying physically active as a way to combat depression, anxiety, and other mental illnesses. Dr. Ratey claims that “…you can beat stress, lift your mood, fight memory loss, sharpen your intellect, and function better than ever by simply elevating your heart rate and breaking a sweat.” Dr. Ratey helps readers think through the connection between mind, body, and spirit in a way that causes you to rethink how each of these three dimensions can affect the others. Personally, I think my Dad was able to fight off his depression for as long as he did because he was always such an active guy. At the request of my good friend, Dr. Bob Rusbosin, Dr. Ratey was kind enough to send me a signed copy of his book. Scientific and medical concepts have not always been my strongest bases of knowledge, but Dr. Ratey writes in a way that makes these concepts easier to understand. I think his book will eventually transform the way we look at brain science, education, and physical activity. I know a book is good when I add it to this list after only reading half of it! There is only one Bob Goff in this entire world, which is really a tragedy because the world needs more people just like him. In his second book (or third book after you read the hilarious introduction), Bob Goff does what he does best–he teaches people how to love without boundaries, judgement, or concern. Whenever I read one of his books, I feel a deep sense of conviction that I can do a better job loving those around me, and this book is no different. But I also like adding Bob’s books to this list because I feel like he captures the kind of love my Dad gave out into the world. My Dad was a helper, and he never let what other people thought get in the way of how he treated others. I so wish that my Dad and Bob Goff would have had a chance to meet, because I know they would have been two peas in a pod! 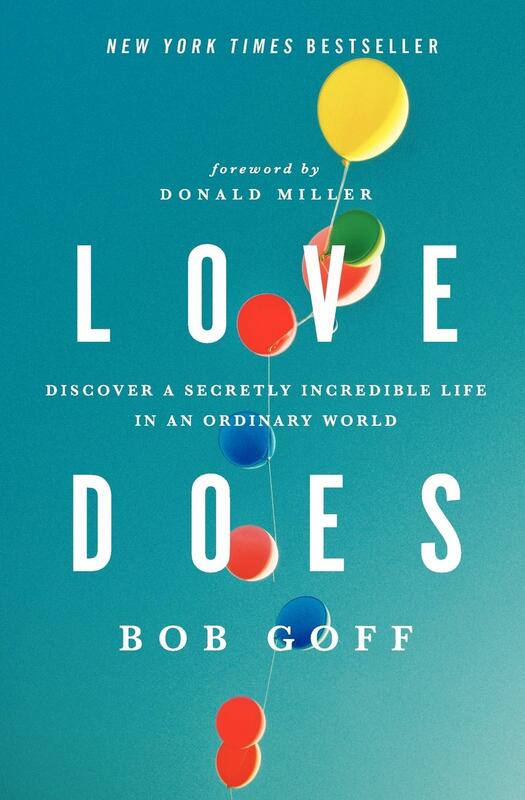 If you want to learn how to love people the way Jesus loves us, Bob’s next book is as good as it gets. Do you have a book or resource you’d like to have added to this list? Although I wish this list was exhaustive, I know it’s not. If you have suggestions of books, articles, videos, or other resources that you think would be helpful for someone suffering or a family member who needs perspectives, add them to the “Comment” section below, or send me the information via the “Contact” link on this page. I’d love to see and hear about what you’re reading and thinking over.